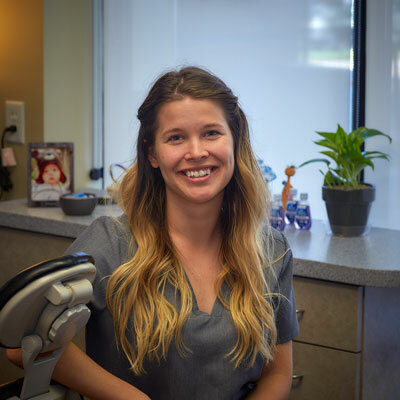 We have been very fortunate to add Jessie to our hygiene team. She hails from the old neighborhood of NoVA, where she and Dr. Patrician would spend days sitting on a stoop and playing that thing with the hoop and stick. Actually, that sounds off. We are thinking of Brooklyn in the early 1900’s, not Northern Virginia last year. But it does harken back to more innocent times, not like today with kids and their ipads. We get it, they are valuable educational tools, but are they a substitute for social interaction and good old fashioned play? I guess we may never know, and that has nothing to do with Jessie’s profile. Why do they even let me write these? Jessie offers a wonderful sense of calm and has an extremely gentle hand. So your cleaning is practically a spa massage?